The Swedish Proteomics Society (SPS) is a non-profit organization for scientists engaged in the field of medicinal drug research. The aim of the organization is to further promote developments in pharmaceutical research. The activities of the SPS are now completely independent from the organization of the pharmacies, and are focused on scientific matters, education and publishing. The body of individual members, nearly 6000, is geographically divided into 11 regional divisions and 13 specialized scientific sections that include clinical trials, drug information, hospital pharmacy, pharmaceutical and biomedical analysis etc. Each division is governed by a committee that is elected by the members. 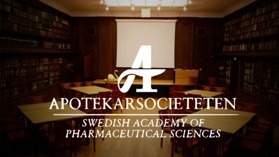 If you are interested in joining the Swedish Proteomics Society, please visit the home page of the Swedish Academy of Pharmaceutical Sciences (http://www.apotekarsocieteten.se/medlemsskap/) and follow the instructions.